Jim from Blind Shake gave a CD-R of some solo stuff he was recording with his brother. After hearing it, we thought this warranted a larger release. 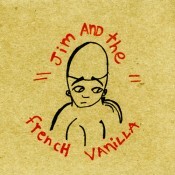 The artwork features Jim’s visuals and all of the packaging was drawn by Jim. Bedroom garage punk beauty.